While the health of Crow Wing County’s waters is important to those who live, work, and vacation here, it trickles down—literally—to the Gulf of Mexico, where the water eventually ends up, a resource for millions of people along the way. Clean water is a vital resource in the Land of 10,000 Lakes. 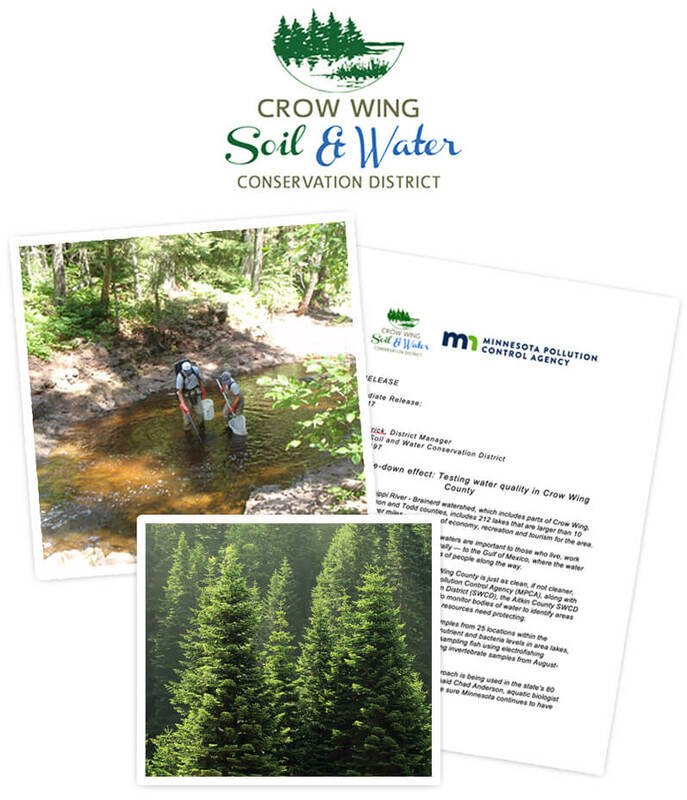 This summer, the Crow Wing Soil and Water Conservation District and the Minnesota Pollution Control Agency worked with RedHouseMedia to create a series of press releases communicating how the state determines the health of water within the Mississippi River-Brainerd watershed. The first press release in the series talked about collecting water samples from 25 locations in the watershed, which covers parts of five counties. The data collection and assessment will eventually determine the health of local waters and where improvements need to be made. The story garnered statewide attention, from not only local media sources but also KARE-11 TV in Minneapolis and Minnesota Public Radio. This was a huge public relations win that spread this story to the masses, without breaking the bank with ad insertion costs. At RedHouseMedia, we know water. We’ve created watershed and aquatic invasive species materials, plus water management campaigns, environmental projects, and more for counties and municipalities. Contact us for more information on how powerful communication can go to work for your water or environmental project.